We are celebrating a stunning set of GCSE results with over half (51%) of all entries graded 9/8 or A* and a massive 75% of all entries graded 9-7 (old grades A*/A), an 11% increase on last year. 62% of the cohort gained at least seven or more grades 9-7 (old grades A*/A). Amid concerns over the marking and grading of the new, harder GCSEs, the class of 2018 have confirmed that we continue to perform at the highest level. The 100% Grades 9/8 (old grade A*) in Computer Science challenge the widely-held perception that the subject is ‘too hard’ and is more popular with boys than girls. In an all-girls environment subjects are free from gender stereotyping. Computer Science is an increasingly popular subject here. Across all STEM subjects (science, technology, engineering and maths) 79% of all entries were graded 9-7 (old grades A*/A), a 9% increase on last year. 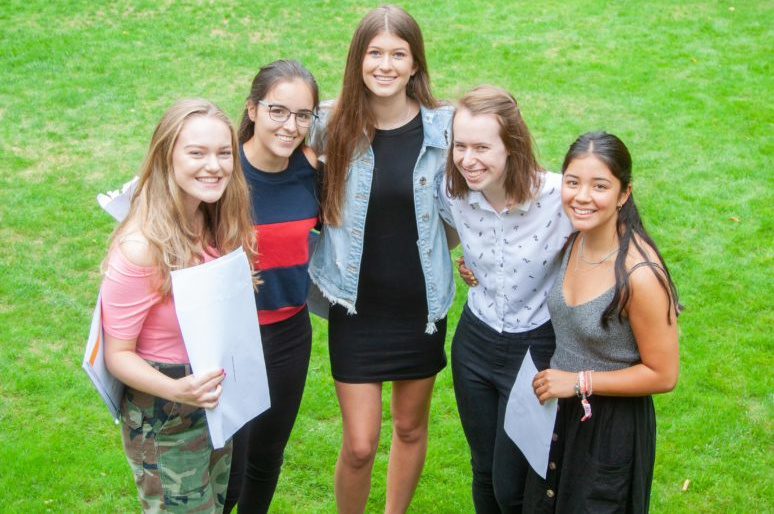 Our girls achieved highly across a wide range of subjects. 92% of entries in creative subjects were graded 9-7 (old grades A*/A) and in the new tougher English Language GCSE assessed solely by examination 71% gained grades 9-7. 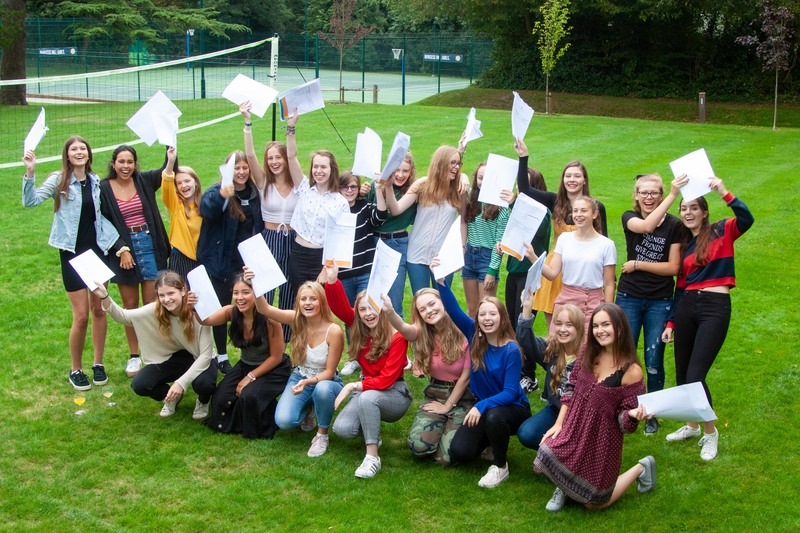 Burgess Hill Girls achieve on average one GCSE grade higher than their baseline indicator demonstrating the value the school adds to each individual pupil. Star student Selina Wang gained 9 Grade 9s, a further A* and a Distinction in Level 2 Further Mathematics. A study published by Cambridge Assessment in May predicted that only 200 so-called ‘star pupils’ in the country would get straight Grade 9s. Congratulations Selina for this fine achievement. 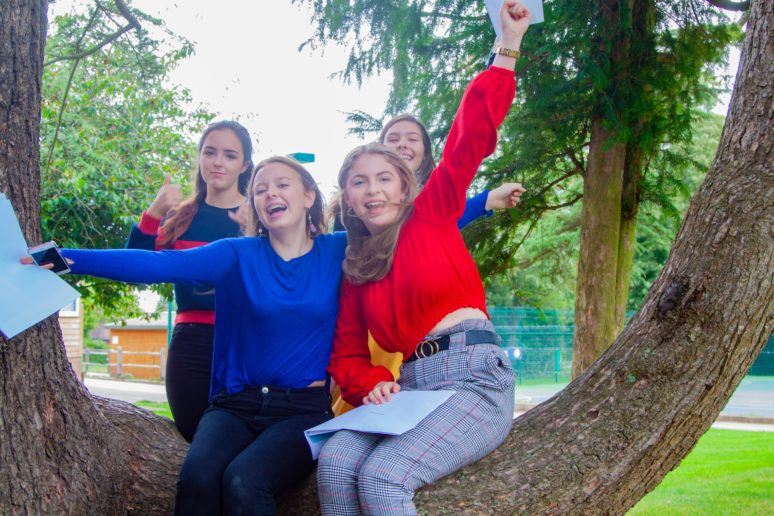 A further 12 girls gained 100% Grades 9-7, A*/A: Mia Arditi, Sophie Binns, Freya Burleigh, Hannah Dunsby, Isabelle Flower, Amy Gallehawk, Olivia Gunn, Olivia Player, Charlotte Hinton, Niamh McNeill, Emma Naunton, Cathy Tong and Rose Wainner.